Facebook CEO Mark Zuckerberg will testify before the House Energy and Commerce Committee next week, the committee has announced. Zuckerberg has been in the eye of the Facebook storm over privacy issues since it was revealed that user data had been illegally obtained and used by a political marketing firm. In a joint statement, committee chairman Greg Walden (R-OR) and ranking member Frank Pallone, Jr. (D-NJ) said the hearing will be an opportunity to shed light on critical consumer data privacy issues. They said that as a result, all Americans may better understand what happens to their personal information online. The hearing is scheduled for 10 a.m. ET on April 11. Zuckerberg declined an invitation to appear before a British Parliamentary committee investigating the same issue. 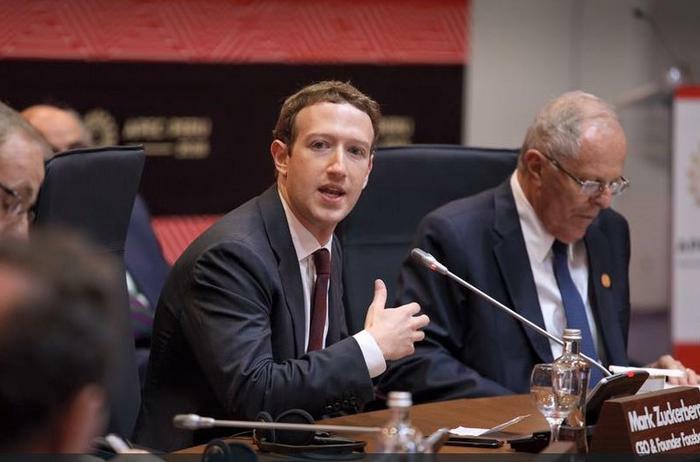 Officials in both nations say they want to learn more about what data Facebook collects from users and who has access to it. In March, the New York Times reported that Cambridge Analytica, a political marketing firm, used Facebook user data to target ads on behalf of the British campaign to leave the European Union and the U.S. presidential campaign of Donald Trump. Facebook said Cambridge Analytica was never authorized to receive the data, and obtained it from an app developer who had conducted a survey on Facebook. People who took the survey were informed that the developer would have access to their Facebook profiles -- as well as the profiles of all their Facebook friends. However, the friends were never informed their data was being accessed by a third party. Since the revelation, Facebook has made a number of changes in the way it handles and safeguards user data, including severing ties with a major data broker and giving users more control over privacy settings.